You have one chance at a first impression in an ever increasingly crowded internet. As of January 2018 there are 1,805,260,010 (over 1.8 billion) websites online. Stand out in the crowd with a custom one-of-a-kind website that will turn that first interaction into an action that counts! Whether you are seeking a new website or new design to your existing website, Phoenix Online Media can give your business the look it deserves. Our custom built websites feature information about your company that consumers are searching for and portray it in a manner that is inviting and compelling. First impressions are important for a business and if a customer’s only interaction with your company is your website, we’ll make sure you leave a lasting memory. Please call us directly or complete the contact form to speak with an account manager about your project today! Often overlooked, our website design team incorporates search engine optimization into each build, so you don’t have to later. You’ll be mobile ready, regardless of which type of phone or device is used to access your website’s pages. Capture leads with ease, plus share your thoughts and newsworthy events with the world via your web-blog. Compelling website content is the road to victory when it comes to using your website to attract new business. Visitors often stumble upon a website in effort to find further information on a topic they’re researching or to locate a service that they require and we’ll make sure they find what they’re looking for by adding relevant content to your site. It’s important to have inviting images and graphics to not only impress your website visitors, but to encourage them to share your information with others. Our website designers will integrate tasteful pictures and relevant graphics that will help to promote interest and convert visitors into customers. It’s vital that you interact with your customers, which is why we make it easy for website visitors to sign-up for updates and newsletters, plus our lead capture systems are designed to be integrated with leading email marketing service providers, such as Constant Contact and Mailchimp. 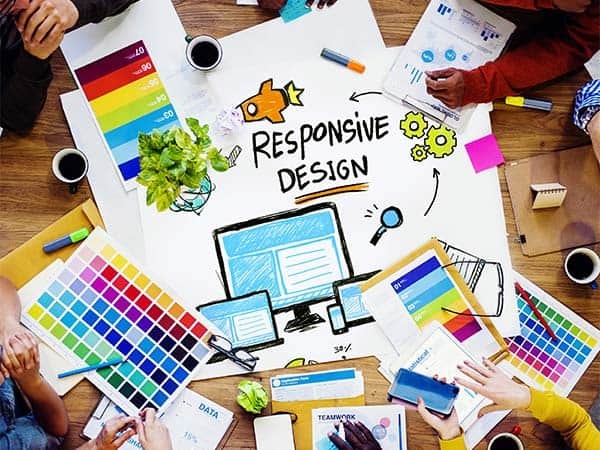 When it comes to building any website, the framework and design aren’t the only components that should be considered. 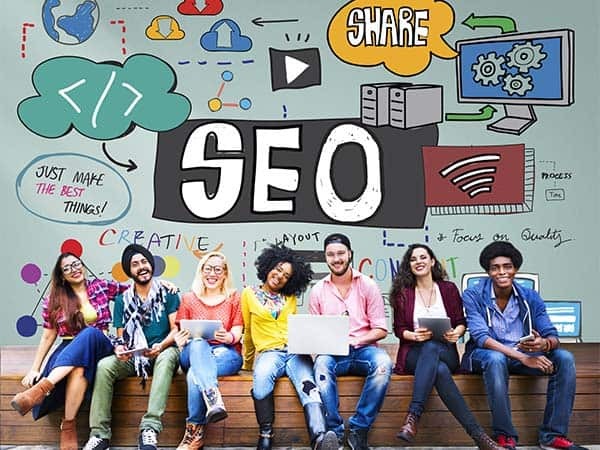 In fact, if your website lacks SEO friendliness, you could be leaving a great deal of customers on the table, simply because the search engines are having a difficult time interpreting your objectives. We’ll make sure your meta-data is relevant. We set you up for success by including Google Analytics, Google Webmasters, and additional traffic tracking software with each website built. Know basic statistics about your website traffic, such as the keyword that was typed into the search engine before landing on your site, how many total people have visited and from where, plus the most popular pages. 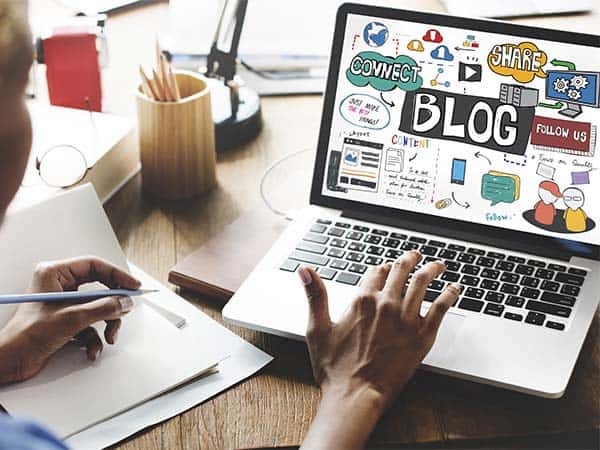 The easiest way to share the latest information about your business is to auto-post new blog entries and webpages to your Facebook and Twitter pages, which we set up for you. If you don’t have a business profile on major social media sites, don’t worry, we can take care of that! Ask about some of the eye-catching landing pages we’ve created. If you have previously filmed adverts or promotional videos for your business, we can help you to integrate them into your website. If you don’t have video footage to use, we can produce amazing promo and product display ads that are certain to generate interest in your company.